Pakistani cricket legend Inzamam-ul-Haq (front) is an ambassador for the tournament. Thanks to the Ministry of Human Resources & Emiratisation (MOHRE) and telecommunications network du, the inaugural Happiness Sim Cricket 6s competition gets under way on Friday, March 27, at Zayed Cricket Stadium. Together with the MOHRE, du and the Abu Dhabi Sports Council (ADSC) the team at Abu Dhabi Cricket are excited to welcome this six-a-side competition, hosting 50 teams made up from almost 30 operative villages across the UAE; this is the second workforce cricket competition to be held at Zayed Cricket Stadium. Speaking ahead of the first ball to be bowled, Qassim Jameel Majed, from MOHRE, said: “There has been a lot of planning and input from so many entities ahead of this event, and the workforce of this incredible nation deserves this. “We’re not only delighted to be offering such a tournament, but also delighted to further grow our relationship with du and Abu Dhabi Sports Council. The Happiness Sim Cricket 6s tournament will welcome cricketing icons as its ambassadors, including Pakistani legend Inzamam-ul-Haq. Renowned former batsman Ul Haq was in attendance for the launch event on Wednesday, as he once again picked up the bat but this time for some fun ahead of the opening weekend. Speaking about being an ambassador, ‘Inzi’ said: “The fantastic facilities here at Zayed Cricket Stadium are going to make this tournament one to remember for those competing. Speaking about the innovative new short format tournament, Matthew Boucher, chief executive of Abu Dhabi Cricket, added: “This is a cracking concept from the Ministry of Human Resources & Emiratisation and du and we’re excited to be selected to host this competition. “Alongside welcoming some of the world’s leading cricket teams to our stadium, it is equally important for us to host such community events and once again host our valued workforce at Abu Dhabi Cricket. 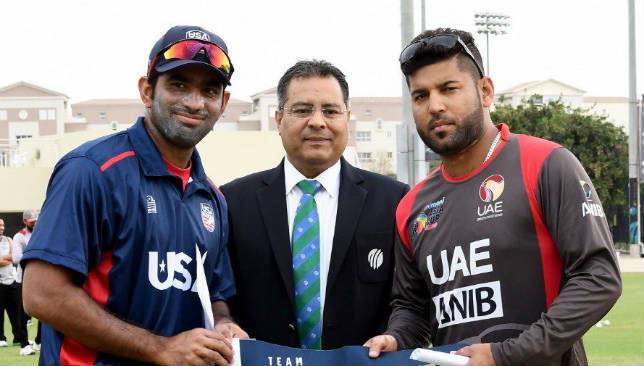 After five weekends of competition, the winning five teams of each weekend tournament will go through to a ‘Final 5’ Grand Final, played under the floodlights at Zayed Cricket Stadium, just two days after International Workers’ Day (May 1) on Friday, May 3. As a UAE national company, du is thankful to the UAE’s blue-collared worker community for their ongoing contribution to nation-building, and believes that initiatives which bring joy and brings the community together must be encouraged. It is a matter of delight for the company to support this exciting cricket tournament amidst cricketing legends in Abu Dhabi. For more information on the tournament, visit: www.abudhabicricket.ae. Pakistan take on Australia in the first of a five-match ODI series on Friday in Sharjah. Several Pakistani players are fresh from the Pakistan Super League (PSL) while Australia are buzzing from their ODI series win in India. 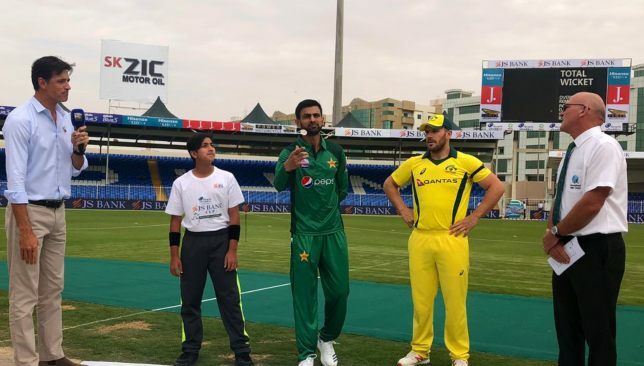 Shoaib Malik won the toss and has elected to bat first. Who will get their noses in front in the ODI series? Find out by following the ball-by-ball updates from Sharjah below.